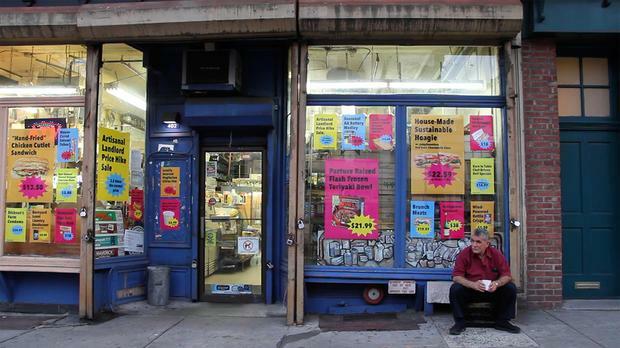 Clever posters protest a rent hike that threatens to close a Brooklyn corner store. 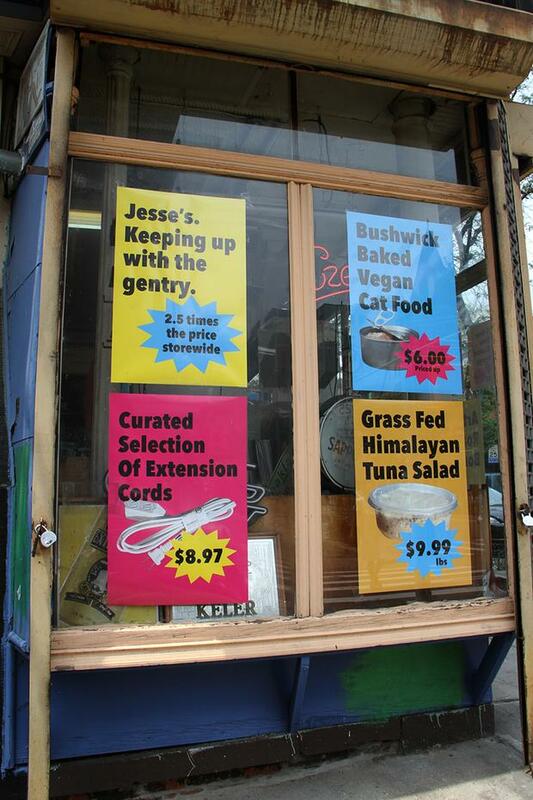 When Jesse Itayim's landlord hiked his rent 250%, forcing him to consider closing the deli that his family had run for nearly25 years, a few clever neighbors (and bodega regulars) from his neighborhood in Brooklyn tried to help him get the last laugh. Doug Cameron and Tommy Noonan, of the boutique advertising agency DCX Growth Accelerator, came up with the brilliant concept behind the "Artisanal Landlord Price Hike Sale." Drawing on the brightly-colored, starburst-priced grocery posters of yore, and using the artisanal vocabulary that has found its way onto specialty shop signs and menus all around the country, Cameron and Noonan replaced Itayim's faded in-store advertisements with some clever "sales" of their own, raising the prices on ordinary-turned-artisanal deli offerings in kind with the rent hike. Who wouldn't jump at "Grass Fed Himalayan Tuna Salad" for $9.99/lb? 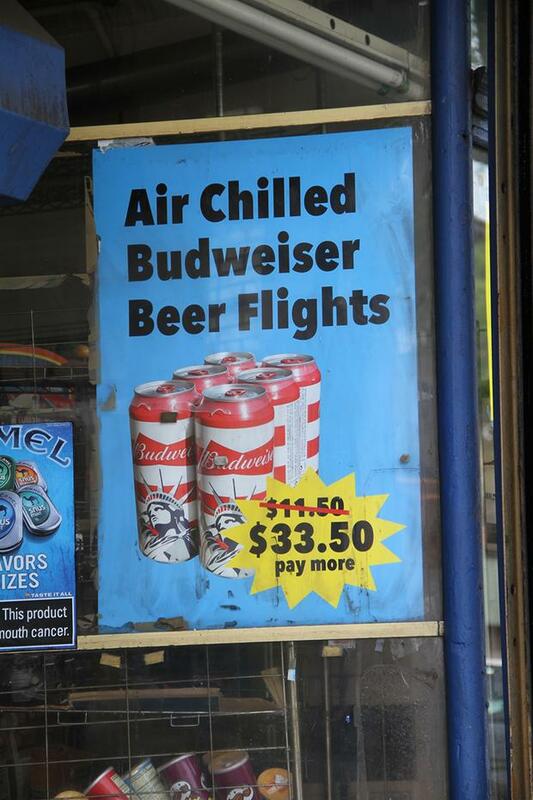 Or "Air Chilled Budweiser Beer Flights," once $11.50, now going for $33.50? From "Seasonal AA Battery Medley" to a "Curated Selection of Extension Cords," this is the sassiest and most ingenious response to the skyrocketing rents that come with urban gentrification that we've seen. When life hands you lemons, get someone with a good sense of humor on your side. It remains to be seen ifthese clever posters (that have caught the attention of folks far beyond Brooklyn)will beenough to change the mind of Itayim's landlord. Itayim told us that he has hired a lawyer, and plans to keep operating his deliuntil the court makes a decision. 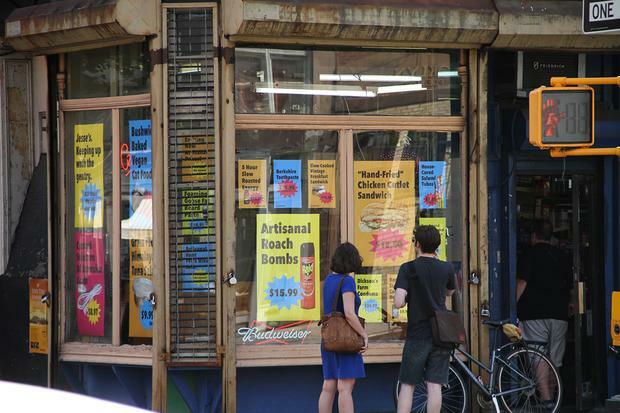 We can only hope that hisbodegaand its "Artisanal Roach Bombs" will live on. Have you witnessed any creative acts or projects in response togentrification? Tell us in thecomments.